By: Harold G. Fravel Jr., Executive Director, American Membrane Technology Association (AMTA) and Karen Lindsey, VP, Avista Technologies, Inc. In an era of inspired recycling and enviable reuse of industrial and manufacturing by-products, the water treatment industry continues to search for innovative disposal options or, better yet, viable secondary use options for high TDS (Total Dissolved Solids) reverse osmosis concentrate streams. This effort though is increasingly complicated by our industry’s practical goal of designing systems that operate under the maximum possible recovery rates, a trend that subsequently results in even higher TDS concentrates. Brackish and wastewater Reverse Osmosis (RO) designers, owners, and operators have yet to identify a universal asset in the technology’s singular byproduct, the concentrate stream. We envy the value added derivatives enjoyed by other industries where entrepreneurs turned process liabilities into assets, developing new markets for byproducts such as helium from natural gas extraction, molasses from sugar refining, or whey from cheese manufacturing. Secondary commodities that presented discharge or disposal burdens became valuable commodities sold to eager new markets. As that search continues, system operators employ a variety of practical reuse options for the concentrate water while taking advantage of the corresponding reduction in disposal volumes. These include on-site landscape irrigation, washing cars and trucks, dust control, and floor washing. While these uses may generate a modest cost savings by reducing the amount of potable water normally allocated for these purposes, most plants actually produce more concentrate water than they need for this day to day maintenance and the remainder is simply discarded. To fully appreciate the reasons why viable RO concentrate reuse is so difficult to identify, it’s important to understand the RO process. RO and Nanofiltration (NF) systems are commonly referred to as “separation systems” because the technologies do not rely on absorption or adsorption properties, but instead effectively separate incoming feedwaters into two effluent streams; a low TDS permeate and a correspondingly higher TDS concentrate. Molecular diffusion allows water (H2O) molecules to readily pass through the membrane while dissolved salts and inorganic substances are rejected. The published rejection rates of RO membranes are based on the rejection of sodium (Na) while NF membrane rejections are based on divalent ions including calcium (Ca) and sulfate (SO4). Salt rejection is a function of net driving pressure and the membrane water and salt passage constants. Membranes tested at different net driving pressures (NDP’s) will yield different rejection values. The likelihood of a specific ion or compound penetrating the membrane layer can be calculated mathematically, with the result being a specific percent rejection. Rejection rates are dependent on the molecular weight (MW) of the ion or compound, with RO membranes rejecting ions with a MW of 100 or higher and NF rejecting molecules with a MW of 200 or higher. Contemporary RO membranes advertise rejections rates up to 99.9%. However, these same membranes may have much lower rejection rates for other constituents such as boron, iron, or silica. In most large scale systems, three to seven RO elements are installed within each pressure vessel and connected via the central permeate tubes. As the feedwater travels across the series of membranes, water is continually removed in the separation process, resulting in a more highly concentrated feedwater to downstream membranes. The water that has passed through the membrane is called the permeate stream and the water and compounds rejected by the membrane form the concentrate stream. The low TDS permeate is the “product water” to be used in process or reuse applications or distributed for potable use. The resulting concentrate water contains a subsequently higher TDS, making it undesirable for process use, unsuitable for potable use and, generally, a liability that must be recycled or disposed of in some manner. Identifying a viable reuse application for the concentrate and eliminating the need for disposal would not only offer a significant benefit in the day to day operation of the system, but also true monetary benefits in the return on investment and economics related to the plant capital cost and O&M expenses. But concentrate reuse remains a challenge primarily due to the impressive effectiveness of RO in producing such high quality permeate and correspondingly high TDS concentrate. There is a direct correlation between RO system efficiency and the composition of the RO concentrate. Ideally, an RO system is designed to produce the maximum permeate volume allowed by the composition of the incoming feedwater. 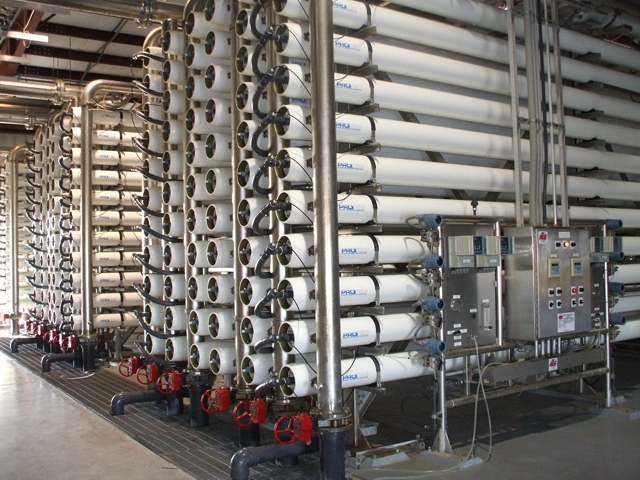 Most contemporary brackish water RO systems are designed to recover 75% to 90% of the incoming feedwater as permeate. This means that a 100 gpm feed to a system operating at 75% recovery will produce 75 gpm of permeate and 25 gpm of concentrate. There are a number of constituents that have historically limited RO system recovery, including silica. But specialty chemical suppliers have helped overcome these limitations by providing effective dispersants and scale inhibitors that keep limiting ions in solution and allow increased system recoveries. It is important to understand how seemingly modest increases in RO system recovery rates can have a dramatic impact on the resulting concentrate composition. An RO system operating at 75% recovery concentrates salts at a ratio of 4x while a system operating at 90% concentrates salts at a ratio of 10x. In terms of TDS, a 75% recovery system with a feedwater TDS of 3,000 ppm produces a concentrate stream TDS of 12,000 ppm. The same 3,000 ppm TDS feed to a 90% recovery system would produce a 30,000 ppm TDS concentrate. As more water is diverted to permeate, there is a corresponding decrease in the amount of water in the concentrate even though the percentage of rejected ions remains constant. While the RO brackish and wastewater industry has yet to generate enviable revenues from concentrate reuse, system owners and operators do find their niches. One regional utility negotiated an agreement to blend their NF concentrate with municipal reuse water generated from a waste water treatment plant so the water could be used for irrigation. The deal required the utility to compromise on the NF recovery rate, limiting it to 55% though it was capable of operating much higher. But the quality of the concentrate produced at the reduced recovery made the blend suitable for irrigation and the sale of the NF discharge generated revenue for the utility and benefited the community. At another site, a judicious salt marsh was created in an abandoned orange grove adjacent to a nanofiltration plant. The NF operated at 80% recovery and the concentrate was augmented with river water and discharged into the marsh, ultimately flowing into a connecting river. As the water meandered through the mangroves, native vegetation and oyster banks, the nutrients in the blended concentrate were removed and consumed. In the end, the quality of the marsh effluent was higher than the river water receiving the discharge, with only a slight increase in salt content to reveal its origin. Numerous studies of the salt marsh reported a thriving oyster population and a verifiable increase in the presence of native reptiles, fish, birds and mammals. 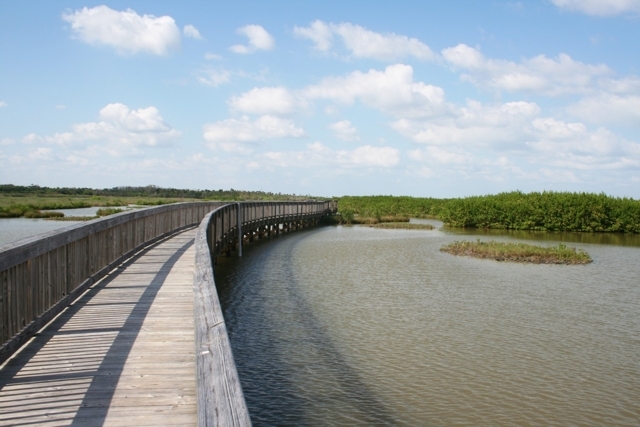 The marsh also provides an attraction for the community, offering a venue for bird watching, fishing and strolls along its boardwalk. In arid locations, plant operators have relied on evaporation ponds to reduce or eliminate the volumeof concentrate waters, taking advantage of desert climates and readily available land. Other sites have resorted to deep well injection of RO concentrate, a method in which the effluent is injected into an isolated underground zone. 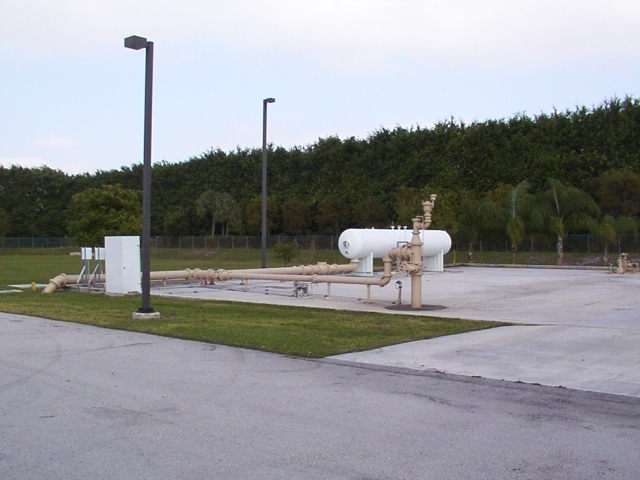 Injection wells can be expensive and must be continually monitored, but they offer a viable alternative to sites that have high water demands and limited disposal alternatives. While these options are feasible for some sites, most RO system operators are faced with disposing the concentrate in a manner agreeable to regional regulatory agencies. The least expensive includes discharge to a wastewater treatment plant (WWTP) where it can be blended with other sources and eventually distributed to a surface water. But this process requires thoughtful consideration of how the anticipated RO discharge volume and TDS will affect downstream operations of the WWTP. Surface discharge of the RO concentrate is relatively inexpensive but can require extensive permitting, viability studies, and toxicity testing to ensure the concentrate won’t harm unique aquatic environments. It is interesting to note that obtaining regulatory permits to discharge brackish water RO concentrate into a river can be as challenging as returning seawater RO concentrate to the ocean. This is primarily due to the TDS values of the RO concentrates for both. While the concentrate TDS of brackish or industrial water is theoretically unlimited, the upper limits of seawater concentrate TDS have a ceiling due to the recognized feed TDS of around 35,000 ppm and the physics of osmotic pressure which limits system recovery rates to 50% – 60%. Seawater RO systems usually rely on concentrate discharge via direct ocean outfall or parallel discharge with cooling tower effluents from adjacent power plants. While the industry hasn’t stumbled on that high value commercial derivative in brackish and wastewater RO concentrates yet, the proper handling of these effluent streams remains a primary consideration for responsible plant operation and economics. System owners and operators who are aware of the challenges and limitations of concentrate discharge are better prepared to evaluate alternatives for their own sites that not only eliminate the expense of discharge, but add value to the plant and their community.